Top Value Bondi Rubbish Removal Service. Homes or Businesses. Prompt & Affordable. Call Now! Are you looking for a fast, easy and cheap way to dispose of varioius items from your Bondi property? Well, you’ve come to the right place. 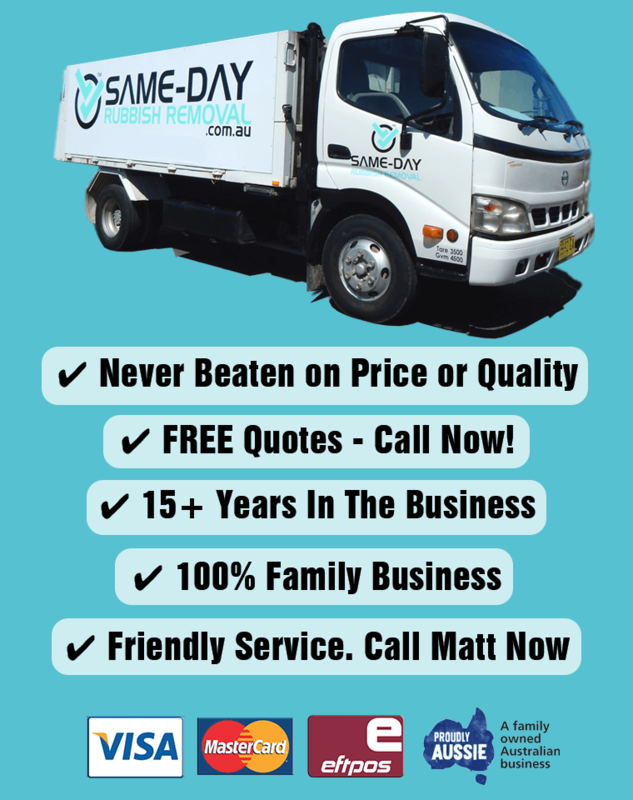 Here at Same-Day Rubbish Removal we can make your junk problem go away with minimal fuss, and offer prompt service to Bondi, Bondi Beach and all other areas throughout Sydney’s Eastern Suburbs including Tamarama, Bronte, Clovelly, Coogee, Maroubra, Rose Bay, Vaucluse and beyond — which we regularly provide service to. We assist both homes and businesses throughout Bondi who need their rubbish an unwanted items disposed of quickly and efficiently. Some of the most popular items we dispose of include old lounges, appliances and white goods, garage junk, old mattresses and furniture, green waste, commercial waste and more. We take all the hard work out of rubbish disposal by doing all the heavy lifting and hand loading all your junk and unwanted items into our trucks and taking them to a waste recycling facility where you’ll never have to worry about them getting in your way again! A quick call to Same-Day Rubbish Removal is all it takes, and we’ll be happy to offer a free quote to dispose of your junk at a price you can’t refuse. We can then book in a convenient time to come to your Bondi property and dispose of your waste and unwanted items. Once we arrive on site, all you’ll have to do is point, and we’ll look after the rest. With well over a decade of experience, give our friendly team a call now to discuss your needs. Don't Hire a Skip Bin, Call Our Team Today! We’re often asked about how our service compares to hiring a skip bin. The short answer is that our service is better in every way. For starters, we do all the heavy lifting and load all your rubbish into our trucks without you having to work up a sweat. 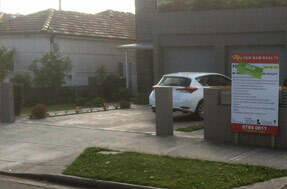 Furthermore, you don’t have to have an unsightly skip bin messing up your front lawn for weeks on end. And because skip bins incur a charge based on how long you have them on your property for, the more time it spends on your front lawn, the more it costs! Crazy isn’t it! You’re basically paying more, to have an ugly monstrosity sitting in the front of your Bondi property for weeks on end, and quite likely killing your lawn while it sits there. Finally, many people don’t realise that using Same-Day Rubbish Removal and letting us do all the hard work for you normally works out cheaper anyway. So let’s get this straight, our service is easier, cleaner, faster and cheaper. This will probably be the easiest decision you have to make all day. Call us now, and we’ll be happy to provide a free waste disposal quote for your Bondi property. As Bondi Junction is only a stone’s throw away from Bondi (it’s basically the same place! ), everything you read above applies here too. Being such a high density suburb, we do get a lot of calls to jobs where people literally have no room for their junk. It may be an old fridge in their apartment where they’ve got a replacement already, but have to have the old one sitting in the hallway until it can be taken away. Knowing how important it can be for businesses and residences to get rid of junk fast, our team prioritise these places to get the job completed even sooner! 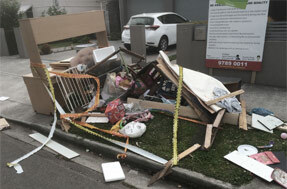 Call our experienced team now and we can have your Bondi Junction property junk free today. Just south of Bondi, Bronte is another densely populated area which is also often in need of fast waste disposal. With an efficient curbside rubbish disposal system, most Bronte residents are able to get away without rubbish removal companies like ours helping out. It’s just a shame that the curbside bins or business dumpsters don’t fit old couches or whitegoods too well! When you do get stuck with too much junk, or a large difficult item, the easiest, fastest and cheapest way to get cleaned up is to call Same-Day Rubbish Removal. It doesn’t really matter where in Sydney you are, Same-Day Rubbish Removal offers super fast service to all areas. 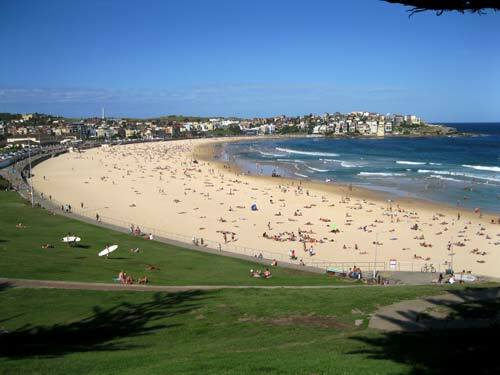 However, we know that the Eastern Suburbs lifestyle in suburbs like Clovelly and Bondi often require immediate service. We’ve got multiple trucks nearby and ready to come to your Clovelly business or property, and workers ready for you to make the call. We can take away any type of junk, from huge items like old washing machines, or just a heap of scraps from a renovation project. Don’t leave your Clovelly property cluttered with junk any longer, just give our friendly team a call on 0402 737 046.